In a presidential campaign during which substantive education policy discussions have received less airtime than the candidates’ anatomies, a panel last Friday in Miami offered unusual insight into how each candidate approaches the subject. Near the end of an annual gathering of the nation’s large district leaders, Dan Rather led a discussion about education that included a Clinton representative — Mildred Otero, a past Clinton aide and former chief education counsel for the Senate Committee on Health, Education, Labor, and Pensions. Because the Trump campaign had failed to provide a surrogate for the panel, organizers from the Council of the Great City Schools invited Carl Paladino, the billionaire co-chair of the Trump campaign in New York and a member of Buffalo’s school board. The superintendents of Miami and Philadelphia, as well as a Cincinnati school board member, also participated. The audience of education leaders may have hoped that the credentials of the panel members would lead to a more thoughtful discussion than the presidential campaign has provided, but Paladino’s blunt, impolitic remarks made a poor case for the Republican candidate, judging by the response. Melanie Bates, the Cincinnati panelist, said Paladino’s condescending tone — he referred to disadvantaged children as “our minorities” — frustrated the panel. 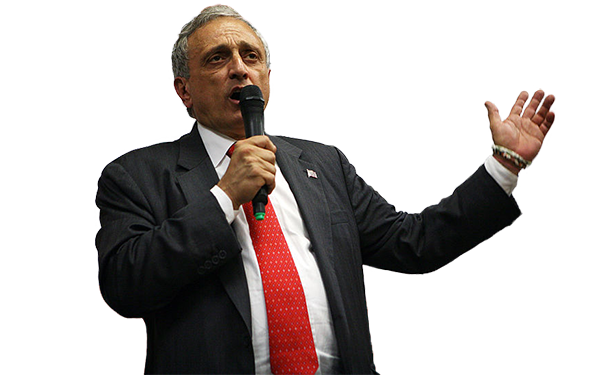 In a lot of ways, Paladino is a perfect match for Trump. He’s a fast-talking, brash real estate tycoon from New York who is relentless in taking his opponents to the mat. Paladino told The 74 that school districts in large urban centers, like Buffalo, are overrun by corruption. But in Miami, he said, the educators weren’t interested in listening. I met Paladino last February on a dreary, bitterly cold Wednesday afternoon while writing a profile on Buffalo’s new superintendent. He wasn’t happy; after an interview, he led me to his cluttered office and slammed down a copy of The Buffalo News, which carried an unfavorable editorial. “No whining” read a sign on Paladino’s desk. But that’s exactly what he was about to do. In Buffalo, where education politics is often divisive, schools are sharply segregated, and just 16 percent of students read at grade level. Supporting school choice through a “total voucher system,” he continued, Trump would “encourage competition in the marketplace and eventually dismantle the corrupted, incompetent urban school districts that we have in America today.” Paladino’s comments were followed by boos. He said he’d expect Trump to make some “adjustments” to the U.S. Department of Education without going so far as saying Trump would abolish the department. He also said President Obama wouldn’t allow Arne Duncan, his former education secretary, “to do anything that would make the teachers unions upset,” despite union leader calls for Duncan to resign. On Friday, Otero, the Clinton representative, offered something of a reveal into a Clinton presidency, saying the Democratic nominee is “a big supporter of public charter schools,” though she remains skeptical of the for-profit education sector. For those in the loop on the often-contentious education policy landscape in Buffalo, Paladino’s Miami comments aren’t anything new. In August, he maintained the false claim that Obama is a Muslim. A series of leaked emails about the president prompted cries that Paladino is “flat-out racist,” a claim Paladino refuted. In 2010, Paladino said children should not be “brainwashed” into believing that homosexuality is acceptable. In response to a leaked video in which Trump gloated about committing sexual assault, Paladino said the candidate was simply “showing his sexual prowess.” An online petition, currently with about 3,000 signatories, has called for Paladino to be removed from the school board. Earlier this year, Paladino won his reelection bid by only 132 votes against a union-backed high school student who campaigned on civility. In February, Paladino said he found Kriner Cash, the new Buffalo superintendent, to be endearing. 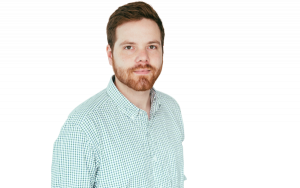 But he expressed doubt that Cash would be able to prompt radical change at Buffalo’s schools because the local teachers union maintained immense power. Editor's note: The article was updated to note that the Council of the Great City Schools hosted the education conference where Carl Paladino appeared, and that Melanie Bates is a board member of Cincinnati Public Schools.